﻿ About Kocho - Kocho Co., Ltd. In 1963, as the Kurobe Dam No. 4 hydropower station was nearing completion in Japan and live television satellite broadcasting was becoming a reality abroad, Kocho Paper, predecessor of Kocho Co., Ltd., was established in Kawakubo, Takaoka, Fuji City in Shizuoka Prefecture. When Kocho Paper was founded, our flagship product was a sanitary napkin developed to help make women’s lives more comfortable, safe and healthy. As we have continued to develop ever better absorbent materials in the years since, we widened our variety and range of products to include high quality, highly absorbent disposable diapers for both babies and adults, cat litter, puppy pads and other products. We are now using our know-how and experience with absorbent products to further improve life for Japan’s aging society. We have opened two Panasonic Age-Free Chain Stores in eastern Shizuoka Prefecture: one (Fujiyama) in Fuji City and the other in Nagaizumi. We are working to do our part and do what we can to make seniors’ golden years the best they can be. Kocho is committed to fulfilling its corporate mission of “Making Kinder Products” by combining innovative planning and years of accumulated technical know-how with the power of Kocho employees’ love and care to continue delivering safe and reliable products that meet society’s needs today, and tomorrow. Kocho is committed to applying our knowledge and drive to "Make Kinder Products" for the benefit of society. "Making kinder products" refers to developing and delivering products that benefit society. With its corporate mission of "Making Kinder Products," Kocho will continue its efforts to bring socially beneficial products to life. We will continue to improve our products and processes to meet the demands of today and tomorrow. Began construction of wadding and sanitary paper factory. Factory completed. 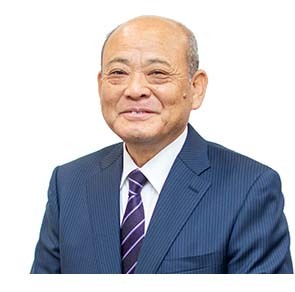 Kocho Paper Co., Ltd. (hereafter called Kocho Paper) established with a capital of 3 million yen and 15 employees. Production and launch of sanitary napkins upon obtaining permits and licenses from the Ministry of Health and Welfare. Capital increased to 6 million yen. Capital increased to 12 million yen. Production system for various types of sanitary napkins established. Began production and sales of disposable diapers for adults. Construction of 3-story reinforced concrete processing factory completed, separating it from the paper mill. Began production and sales of disposable diapers for babies. Began production and sales of disposable puppy pads. Kocho Paper renamed Kocho Co., Ltd. (hereafter called Kocho). Ceremony held to commemorate the 30th anniversary of corporate establishment. Paper mill demolished; west side of 3-story reinforced concrete processing factory expanded. Line of cat litter launched. Production of sanitary napkins discontinued. Disposable diapers for pets launched. Line of anti-slip puppy pads produced and launched. Production of disposable baby diapers discontinued. Began production and sales of incontinence pads. Assisted living equipment lease service launched upon obtaining Shizuoka Prefectural permits and licenses. Ceremony held to commemorate the 40th anniversary of Kocho establishment. Panasonic Age-Free Chain Store “Fujiyama” opened in Urijima Town, Fuji City. ISO9001 certification acquired (excluding Social Support Dept.). Panasonic Age-Free Chain Store “Nagaizumi” opened in Nagaizumi Town, Sunto County. Construction of Gokanjima Factory completed; began production of cat litter made from Japanese cypress. Construction of Factory Number Two completed. Began production and sales of thin-type regular and wide size puppy pads. Construction of Factory Number Three completed. Production and launch of thin-type super wide size puppy pads. Production and launch of thick-type puppy pads. Neo Loo Life brand launched. Launch of 2011 Tohoku Disaster relief and reconstruction support campaign. Wheelchairs donated to nursing care facilities. Construction of Fujimi Factory completed and began production of cat litter made from Japanese cypress and tofu refuse. Osaka Sales Office relocated and expanded. Ceremony held to commemorate the 50th anniversary of Kocho’s founding. Construction of Green Warehouse completed. Joined "SPORT FOR TOMORROW", an international contribution through sport. Concluded the comprehensive partnership agreement with Fuji City. Construction of KUZAWA 55 Warehouse completed.